Razer is, first and foremost, a gaming company. From the company slogan (“By gamers, for gamers”), to partnerships with a number of the most popular game development studios, even the job title on the CEO’s business card (it reads Chief Gamer), nothing about Razer is shy about who the target market is. 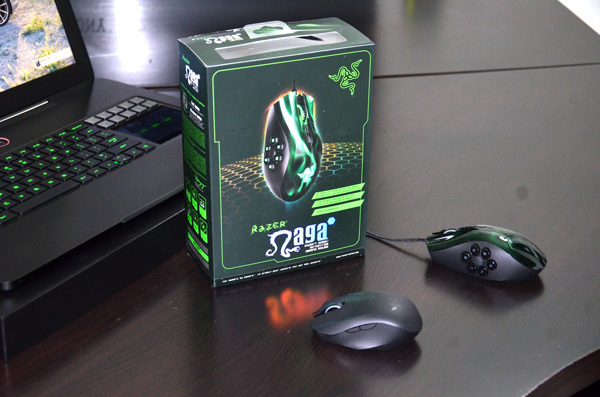 But it’s key to note that Razer is a gaming company which has focused on gaming-related peripherals and accessories—mice, keyboards, headsets, controllers, and limited edition peripherals for specific games. But that all changes as of now. The vessel of change in question: Razer’s new Blade, a $2799 gaming laptop that bucks almost all of the common trends in gaming-focused desktop replacements. This isn’t the first time that Razer has shown intent to play in the gaming hardware space, having shown off the innovative Switchblade concept system at CES 2011. 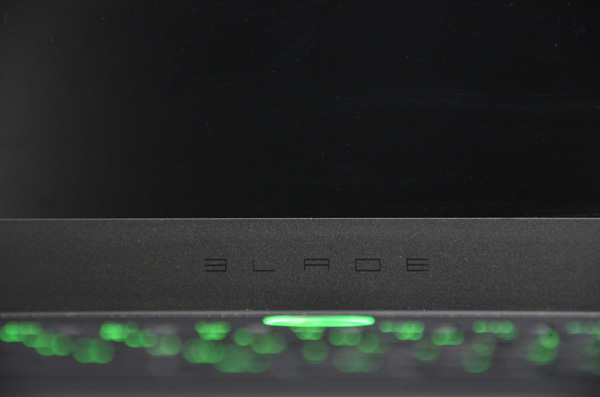 The Switchblade design concept clearly had a major influence on the Blade as is evident from the Switchblade UI panel on the side of the keyboard, but what’s important to note with the Blade is that it shows just how serious Razer is about transitioning into PC hardware and gaming systems. Read on to see how it fared. Heralded by Razer as the “World’s First True Gaming Laptop”, the 17” Blade is built around Intel’s Core i7-2640M and an NVIDIA GT 555M dGPU. The i7 is clocked at 2.8GHz, with a max turbo of 3.3GHz on two cores or 3.5GHz on a single core, while the GT 555M has 2GB of vRAM and clocks of 675/1350/2500 MHz for core, shaders, and vRAM, respectively. The GPU is pretty pedestrian by 17” gaming notebook standards, with the GT 555M falling somewhere between high-end mainstream and low-end gaming cards. There’s many different versions of the GT 555M, but the SKU in the Blade seems to be the most potent variant, using a cut down version of the same GF116 architecture in the GTX 560M. The rest of the specsheet is headlined by 8GB of memory and a 256GB SSD made by Lite-On. The Lite-On LET-256M2S is built around Marvell’s 88SS9174 controller, the same controller that serves as the basis for Intel’s SSD 510. Lite-On claims up to 480MB/s for sequential read and 330MB/s for sequential write speeds. The display is a 17.3” 1080p panel made by AU Optronics, but what we were most thrilled by is the beautiful matte screen finish. The Switchblade UI panel lives to the right of the keyboard and features 10 dynamic LCD keys (Art Lebdev-style) as well as a secondary display, a 4.05” 800x480 multitouch LCD that serves as the Blade’s touchpad. In addition, Razer includes a special edition of their Bluetooth mobile gaming mouse, the Orochi. Rather impressively, Razer managed to pack all that hardware into an enclosure that’s just 0.88” thick and weighs 6.4lbs. If Intel were to extend the ultrabook hardware guidelines out to 17” notebooks, the Blade would hit them pretty dead on. The razor-thin (get it, get it?) profile explains why Razer was limited to a GT 555M—simply put, Razer couldn’t fit anything more powerful into the thermal design without significantly compromising the performance of the cooling system. But what’s noteworthy here is that Razer took the design of the Blade in completely the opposite direction of the majority of the gaming notebook world. If you were to poll a large group of people for the best 17-18” gaming class portable on the market, you’d end up with a range of answers—Alienware’s M17x or M18x, the ASUS G74Sx, some variant of Clevo’s P170HM, possibly the MSI GT780, etc. Thickness 0.88" 1.76" 2.13" 0.82-2.44" 1.65-1.89" 2.17"
Take a look at the spec table—the Blade is thinner than everything up there by at least a factor of two, as well as being at least two pounds lighter. It’s also a good deal more expensive than everything but the M18x, and a good deal less powerful. (It's worth noting that the Blade is the only one on the list with an SSD, but otherwise they're pretty similar—1080p, 8-12GB memory, etc. Factor an additional $200 to upgrade to an SSD in the other systems.) Comparing the M18x and the Blade head to head is a bit of comedy—in terms of form factor, the Blade is literally half the laptop the nearly twelve-pound M18x is. They’re both very high-end and very expensive gaming notebooks, but they couldn’t be any more different after that. So it’s pretty clear that Razer wasn’t aiming at the gaming notebook establishment—in fact, on paper the Blade looks a bit like the Windows answer to the 17” MacBook Pro. 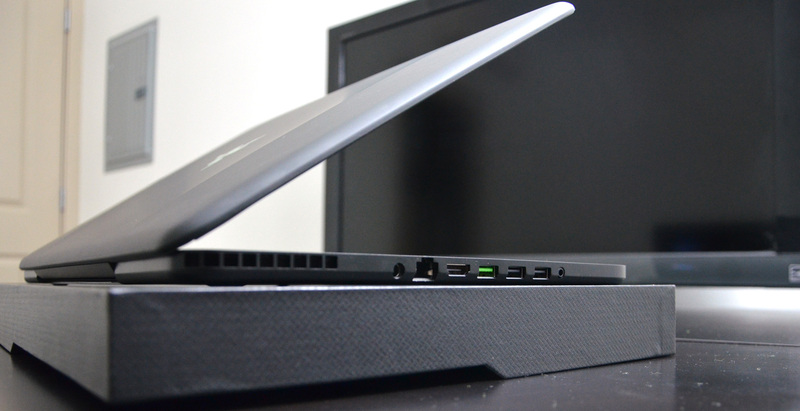 Which isn’t to say that the 17” MBP is a competitor for the Blade in any way—the design ethos and target markets are completely different, but it’s worth noting the similarities in form factor and price, as well as the focus on premium design and overall attention to detail. In the PC world, the closest you’re going to get on paper is the HP ENVY 17, at 1.28” thick, 7.37lbs, and starting at $1249 with AMD Radeon HD 7690 XT graphics. Where I’m going with all this is to show that the Blade is a pretty unique proposition in the notebook world—it’s a high-end 17” gaming portable that, at least in terms of hardware, focuses more on the portable than the gaming. Great review. Finally, a gaming notebook that looks like it was designed by adults. the gnexus has a pentile display, which, aside from sucking, doesn't possess quite as many real pixels as specified. You seem to be forgetting The HTC Rezound & Sony Xperia S which both have 720p screens and are below 4.3"
well, i'm not sure if you thought about gaming on that laptop..
you need enthusiast level of graphics to run 1080p smoothly on a laptop. Adults that don't understand what gamers really want, performance first. Sure it looks great and has lot's of glitz and glamor, but I'll take my much better performing M17x R3 thank you very much.